People are using porcelain tile floors to make their home or office more beautiful and aristocrat. Porcelain tile floors are durable than ordinary tile floors with many design and color. 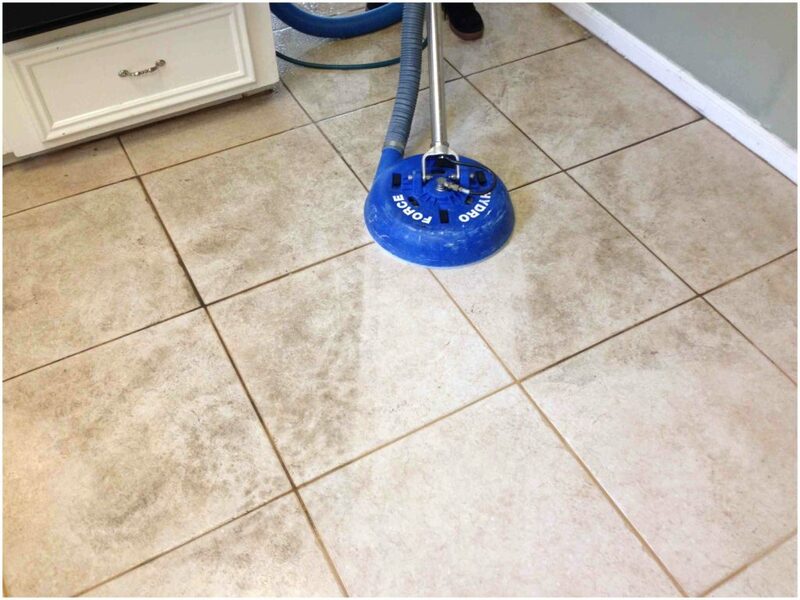 Now you have to take care of porcelain tile floors to make it clean and shining. The best advantages of porcelain tile floors are, you can quickly clean it without streaks. You don’t need sealants or special cleaners for this purpose. So now I am going to show you how to clean porcelain tile floors without streaks just follow my steps. At first, you have to give a brush the tile floors, or you can use the vacuum cleaner to do that. Pick all dust and dirt very carefully especially under furniture and edge of your room. Don’t put any trash left behind because this will make streaks on the when you mop it. Now you have to select best cleaning solution that clean your porcelain tile floors spontaneously. You can use commercial cleaner or detergent which is available in the shop, or you can use the homemade mixture for cleaning. Now put few drops of cleaning chemical with hot water and half cup vinegar in a bucket. You may found lots of commercial cleaner in the market, choose the best one for your porcelain tile floors. After that take a mop and soak it in the bucket, squeeze out all excess water. Now mop the porcelain tile floors very attentively. In the middle of your work when you think that mop is looking dirtier then wash your mop and again soak into the mixture bucket. You have to be very careful about the mop because dirty mop increases the chances of streaking. When you have done with mopping, you have another task to do now. Collect a clean towel or hair dryer to dry the porcelain tile floors. There is a great chance of streaks when the floor dries automatically by air. So wipe tile floors very tactfully. If you have a large room to mop then split it up into a small section and clean tile floors without streaks. Another thing you have to keep in your mind that clean towel or a clean piece of cloth is the best for wipe your floor. 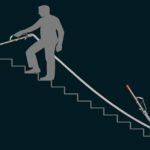 You can easily avoid dirt from your home and office by mopping the floor on a regular basis. Streaks will not grow, and you will have a shiny clean porcelain tile floors. You have to make sure that does not let the mopping to dry on the floor of the porcelain tiles. 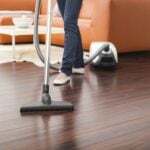 This can easily reduce the staining and streak on your floor. When your tile floor is polished, just use half the amount of detergent what I discuss above. 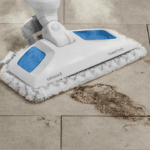 You have to be very careful about using a cleaning solution on porcelain tile floors. Before using it, do a little experiment on a small part of it. That will let you know that is it safe for you or not. 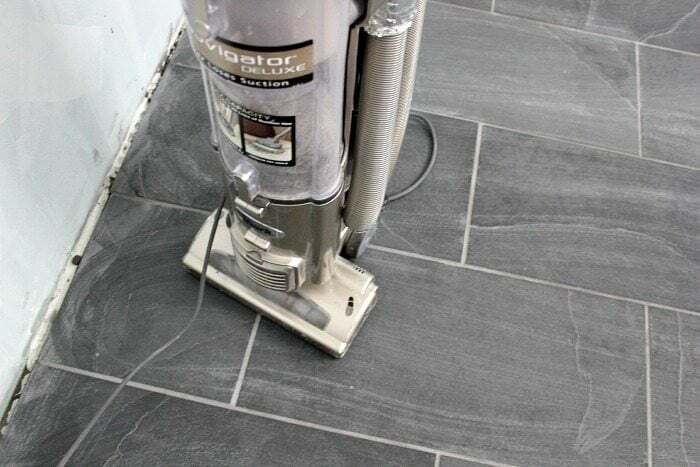 When you start to clean your porcelain tile flooring, put little vinegar to steam water or cleaning solution. Because it will help you to get more shiny and clean surface. 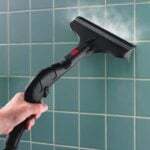 You can use steam vacuum cleaners which is another good way to clean porcelain tiles without streaks. The steam vacuum cleaner is available in marketplaces. So you can try one. So don’t worry if your porcelain tile floor is looking dirty. 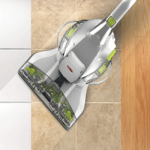 Because you already know how to clean porcelain tile floors without streaks. Now you can easily follow our method for the best cleaning solution without streaks. But the most important thing is always trying to clean your home or office regularly. It will make your home and office healthy.